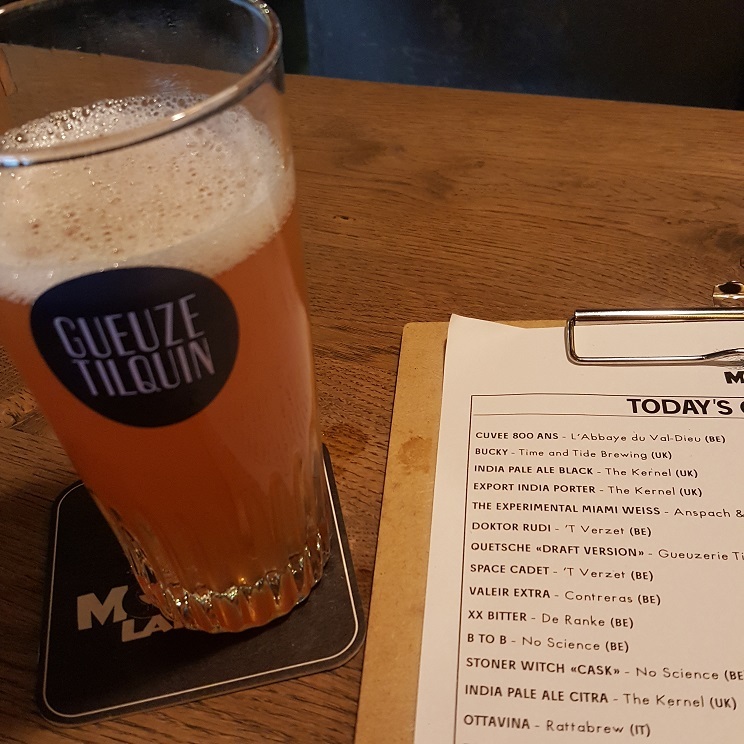 Brewer Description: (from website) The Gueuze Tilquin – draft version (4,8% alc/vol) is a spontaneous fermentation beer obtained from the blending of a low alcohol lambic (called Meerts or March beer) with 1 and 2 years old lambics matured in oak barrels. Unfiltered and unpasteurized, it is re-fermented in stainless steel kegs or in Keykegs for a minimum period of 3 months. The lambics used were fermented and matured in our own oak barrels at the blendery. They are made from worts brewed by Boon, Lindemans, Girardin and Cantillon. The taste is tart, dry and refreshing. The nose is fresh and lemony. 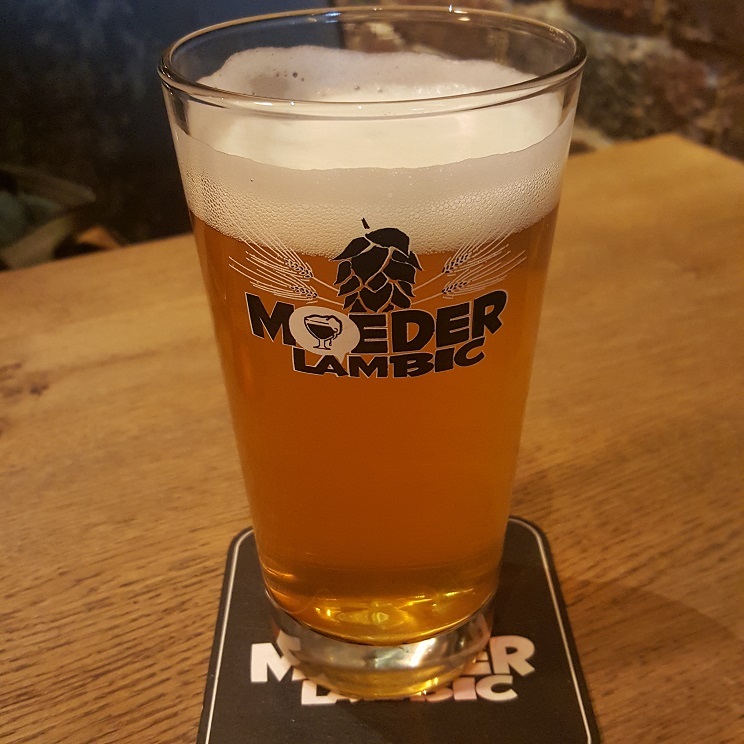 An ideal light gueuze for terraces in the summer and for discovering the beers of spontaneous fermentation. Appearance: A lightly hazy orange colour with a just over one finger creamy white head that had decent retention and left nice curtain lacing. Aroma: Strong barnyard funk, lemon peel, light vinegar and chalk. Taste: Lightly sour, tart, green apple, lemon peel, funk and oak. Overall: Very nice, complex and easy drinking. 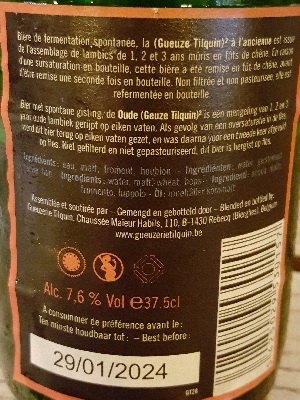 Brewer Description: (from bottle) Beer of spontaneous fermentation, the Oude (Gueuze Tilquin)2 is made from the blending of 1, 2 and 3 year old lambics aged on oak barrels. Due to oversaturation in the bottle, this beer was put again in oak barrels, and then bottled for a second time. Unfiltered and unpasteurized, this beer is refermented in the bottle. 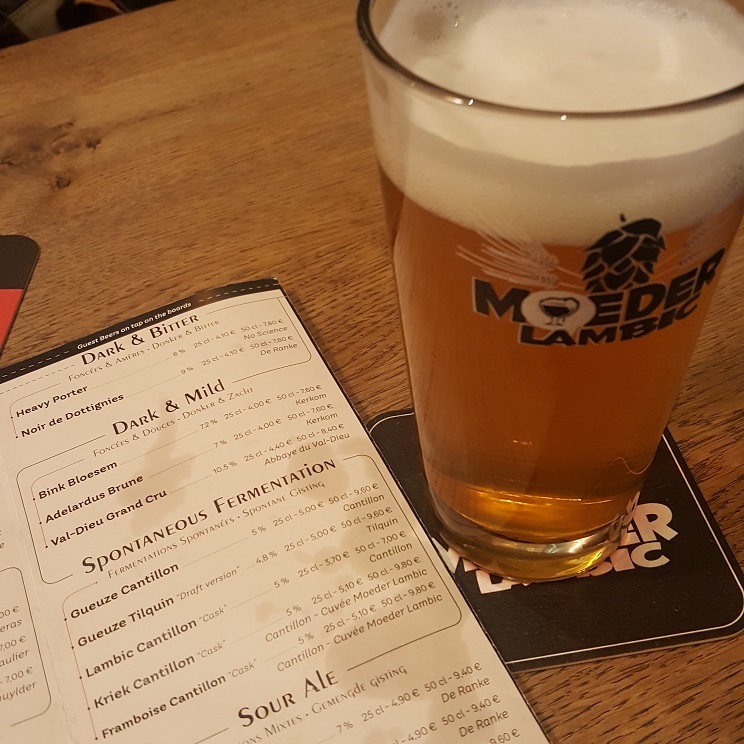 Intro: A 375ml bottle at Moeder Lambic Fontainas with a neck label of 2011-2013 and a best before date of 29th January 2024. 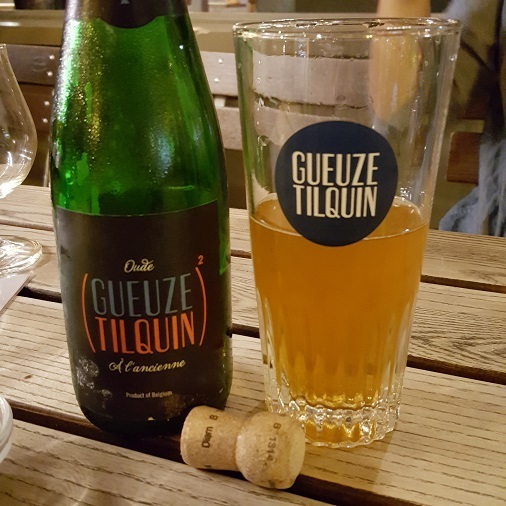 It was poured into a traditional Tilquin gueuze glass. Appearance: It poured a slightly hazy golden orange colour with a half finger white head that dissipated almost immediately and left no lacing. Aroma: Lemon zest, fresh lemons, tart, sour, passionfruit and funkiness. Taste: Sour, tart, mango, passionfruit and funk. Overall: A very nice and refreshing gueuze with great spritzy carbonation and funk.